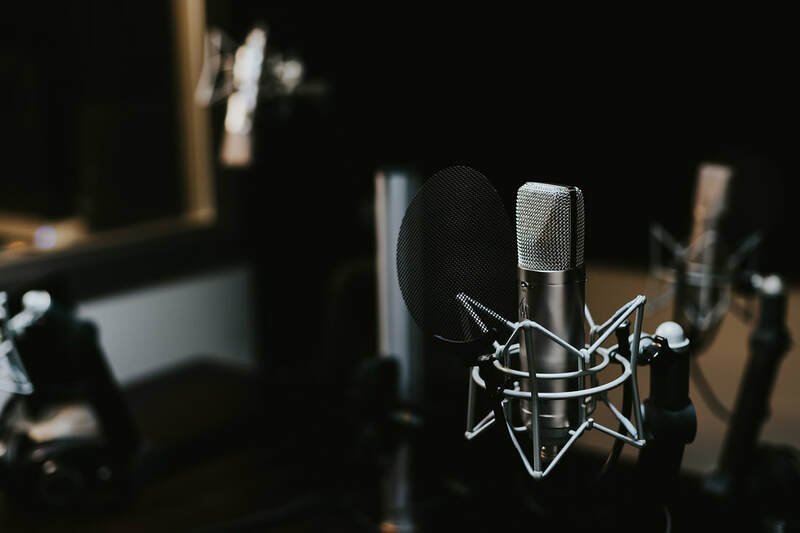 In this post I'll go over the different types of Digital Audio Formats most common to Podcasting - which are recommended for recording podcast audio, and which are recommended for publishing mixed podcast episodes. A selection of Digital Audio formats supported by Audacity. In simple terms, Lossless means that all of the recorded audio data is retained - the frequency range and dynamic range of the audio is exactly the same, what goes in is what comes out. Ideally, all audio should be recorded initially in a Lossless format as mentioned in the post on Recording Techniques. WAV (Waveform Audio File) is pretty much a universal standard, available on PC and Mac systems. WAV files are limited to a maximum of 4GB is size, an in some cases 2GB. A WAV audio file of 16-bit/44.1kHz is CD quality. AIFF (Audio Interchange File) is comparable to WAV and is also universally used; it was developed by Apple. FLAC (Free Lossless Audio Codec) and ALAC (Apple Lossless Audio Codec) are both Lossless formats that use a Codec - the lossless data is compressed, making the file's size smaller but retaining all of the data. 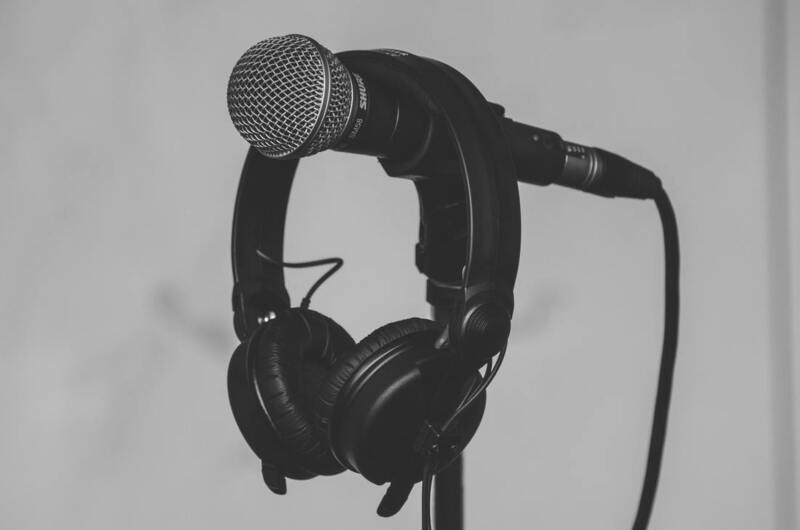 If you have particularly clean recordings done in a studio, FLAC/ALAC can be useful as the silence between words can be compressed to a minimal amount of data, resulting in significantly smaller files. Psychoacoustics: If you say "Cheese" really slowly, it sounds like you're saying "Gullible". True story. Lossy audio formats reduce the file size by removing or simplifying the data. As you'd expect, removing data results in a loss of fidelity - however, lossy codecs use various techniques (such as Psychoacoustics) to minimise the perceived difference. 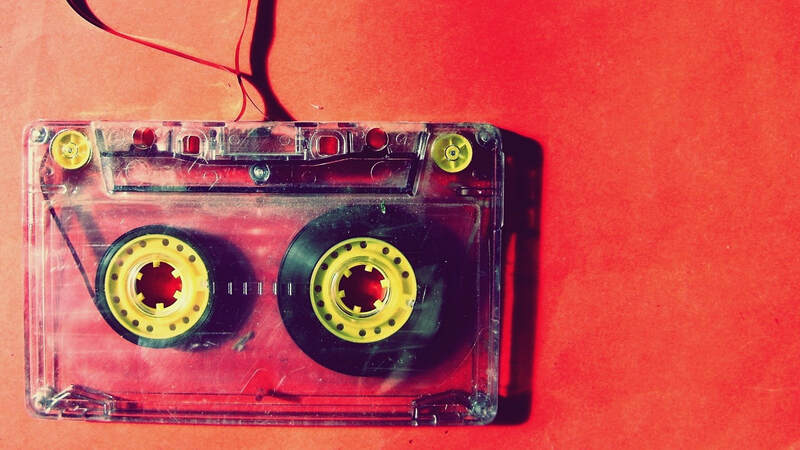 ​However, the greater the amount of compression applied, and the more data that is removed, the more noticeable the degradation of the audio quality - compare a piece of music encoded at 320kbps MP3 to one encoded at 64kbps MP3 for a clear example. The effect is less obvious, to some extent, on the human voice due to the lower frequency and dynamic range of speech compared to music. MP3 is the most well-known and widespread of all the Lossy formats. AAC (Advanced Audio Coding) is a standard developed by Apple as part of the MP4 standard, and has superior fidelity compared to MP3. AAC is the standard used by both iTunes and YouTube. Both MP3 and AAC support ID3 metadata. As mentioned before, you should record in a Lossless format if possible (some phone or tablet apps might not support Lossless recording), ideally at 24-bit/44.1kHz in this writer's opinion. At 24-bit you've plenty of headroom for the unexpected loud sounds of excitable discussions and will avoid clipping distortion; of course, if your podcast is of the calm and tranquil sort, then 16-bit will be just fine. You should try to avoid degrading the audio quality until exporting the final mix, i.e. if you've recorded at 24-bit 44.1kHz, then edit and mix at 24-bit 44.1kHz - don't convert the recording to a lesser format before editing. Recommended Specifications for podcasts: 128kbps Stereo / 96kHz Mono, AAC at 44.1kHz (if you recorded at 48kHz you might as well keep it at 48, otherwise what was the point in the first place?). If your podcast doesn't have any music in it, or you really need to make the files smaller due to hosting constraints, you can go down to 64kbps Stereo / 32kbps Mono - but do experiment and hear for yourself at what point you're happy with the compromise of file size : audio quality. All that said, there's nothing stopping you from using 256kbps or higher, if fidelity is important to your podcast's sound - popular storytelling podcasts that incorporate a high degree of sound design tend to use higher standards, e.g. Lore. To induce trance-like states in listeners, at least 128kbps is recommended. A few applications popular among podcasters save recordings as .MOV files, for example Ecamm Skype call recorder. MOV (QuickTime File) is a container conforming to the MP4 standard, for video and/or audio. The specifics of the audio can be set to either Lossless (AIFF) or Lossy (AAC) prior to recording. In this post I'll go over what Sound-Proofing is, what Acoustic Treatment is, and how to get the best possible results when recording. First off, Acoustic Treatment and Sound-Proofing are not the same thing. All sound-proofing is to do with acoustic treatment, but not all acoustic treatment is to do with sound proofing. Sound-proofing prevents the transmission of sound from one space to another - walls, sealed windows and doors provide sound-proofing. Open a window and have a listen, then close it and listen again - the difference can be significant. When it comes to recording your podcast, you don't want that loud traffic or neighbour's dog in the background. Professional studios spend $$$, even $$$$$$ to make a space completely sound-proof by building rooms-within-rooms, having floating floors and suspended ceilings, decoupled walls, heavy solid doors, and double or tripled glazed windows. Most of us don't have that kind of budget - but there are simple and affordable solutions that can yield good results. Acoustic treatment affects the properties of sound in a space, such as echo and reverb - hard surfaces reflect sound, soft materials absorb sound, and objects disperse sound. Think of a tiled bathroom with a lot of hard reflective surfaces - sound echoes around and around... Now think of a carpeted room with couches, chairs, books and stuff hanging on the walls - sound is absorbed and diffused by the soft materials and objects. Effective acoustic treatment is fairly affordable, and there are commercial products and DIY solutions that can be easily applied. In the blurry background: A DIY wooden block diffuser. Close all windows and doors. And close the windows and doors in adjacent rooms. If you can, use a rubber or neoprene seal that can be fitted around the frame of any doors and windows to reduce the amount of sound coming in & going out. • Floors can be "floated" - a secondary floor is built upon the structural floor of the room, and is supported by vibration-dampening materials. • Ceilings can be suspended - a secondary ceiling is put in place, either hung from the structural ceiling or integrated into de-coupled walls. • De-coupled walls - secondary walls, with an air gap between them and the structural walls, built of brick/cement block, or heavily insulated. Carpets, curtains (closed), cushions, wall-hangings and soft furnishings - foam and fabric will absorb sound waves and dampen them to some extent. Having a felt table cloth on the table that your recording equipment is set up on will reduce immediate reflections. • Absorption - whether commercial products like foam panels or DIY panels of rockwool, increasing the amount of sound absorbing materials in a room helps to reduce the amount of echo and reverb. • Diffusion - having objects and angular surfaces helps to distribute sound waves and thereby weaken them, the more the sound bounces around, the sooner it dissipates. Auralex is one of many companies that produce sound-proofing and acoustic treatment products. They also have a very nice PDF that explains these concepts in depth, here's a link. Various forums and websites also provide guidance for the DIYers out there - the John Sayer's forum is a good place to start. There are products for those on a budget or who do not have the luxury of a good space to record in, or those who record on the move in difference spaces in different places. Aside from good mic technique and positioning, you can use portable booths that will partially isolate the mic from its surroundings, whether its a screen like in the image above, or a foam ball like Kaotica's Eyeball, or a DIY foam box that can be easily taken apart. These are by no-means foolproof, but can improve the recording. Let's hear it... < incoherent mumbling sounds amidst static noise > ...Well, that's no good. While there are some amazing audio repair tools available, nothing quite beats good, clean, well recorded audio. A few minutes of preparation will save hours of tears and gnashing of teeth, and even the recording itself. Audio Editing software is designed specifically for the purpose of recording, editing, processing, and mixing digital audio. 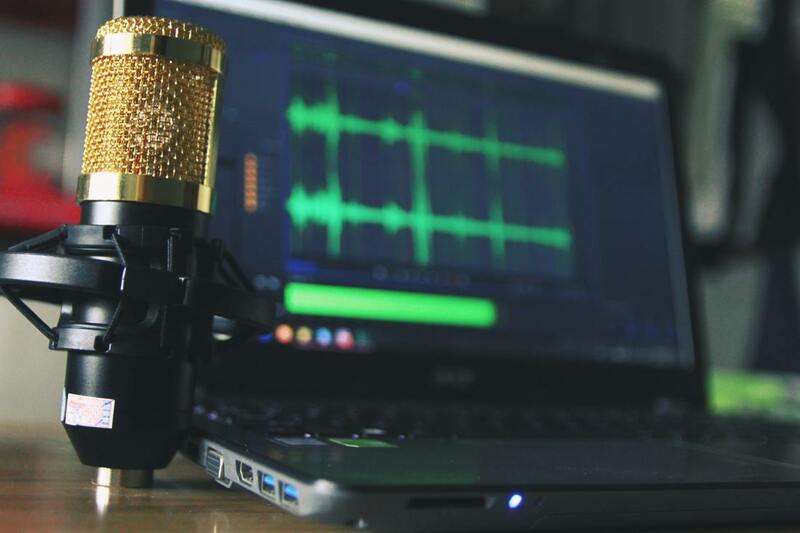 In this post I'll go over some of the terminology, and look at some of the most popular Audio Editors when it comes to Podcasting. A typical Podcast episode being mixed in Cockos Reaper. Let's start with DAWs. Pronounced like, "door" with a New Yorker accent, DAW stands for Digital Audio Workstation. A DAW is basically any computer with a hardware audio interface (whether it be a Focusrite Scarlett 2i2, or an SSL Duality), and Audio Editing software. The software allows you to record the digital audio to your computer's drive, edit it, apply processing (EQ, compression, effects, etc...), mix the levels, and more. DAWs can vary in their abilities and functionality depending on what they're intended for and the cost. Destructive Editors make changes to the actual audio files as you edit them in the software - if you cut a chunk out in the editor, that chunk of data will be removed from the audio file immediately. This can be great in that it is immediate, and can be time saving. But, it also means that if you make a mistake, there's a risk that you won't be able to undo it. An example of a destructive DAW is Audacity. Non-Destructive Editors do not alter the original audio files, but rather apply the changes in real-time during playback - if you cut a chunk out in the editor, that chunk will just be skipped over, and if you want to make a change to an effect or undo a cut, it's usually pretty easy. This sort of real-time processing does require more computer power, and the more processing that is applied, the greater the latency effect during playback. That said, most modern computers have the capacity to handle such processing with minimal side-effects. An example if a non-destructive DAW is Avid Pro Tools. There are some excellent free Audio Editors available, such as Audacity, as well as free versions of paid for Editors like Studio One Prime. The "free" free editors are only limited by the fact that they are made and sustained at no cost - so if the developers of Audacity decide to stop supporting it, it could disappear (unlikely, given it's huge community of users). The "free" paid editors will have fewer features and capabilities than their paid-for versions, but are still very capable and in my opinion good enough for podcasting unless you really want the bells and whistles. A downside might be less tech support from the developers. Paid for editors vary in their abilities, from one brand to the next, and even between different versions, for example Hindenburg Journalist and Hindenburg Journalist Pro - the basic version doesn't offer multi-track recording and has fewer processing features. AUDACITY is free and very popular with podcasters and audiobook editors on a budget. Many start here, earning their stripes, before taking the plunge with a paid-for DAW. GARAGEBAND is a free, multi-track editor that's free for Apple Mac owners. It has rather limited editing capabilities, and features. LOGIC PRO is GarageBand's big brother - a professional studio DAW, with many features... but Mac only. HINDENBURG has been developed specifically for radio and broadcast, is easy to use, and is well-suited to podcasting. It is a bit on the pricey side, especially if you want the features of the Pro version. ADOBE AUDITION is a professional studio DAW with many features, and very good spectral editing capabilities for cleaning up noisy audio. However, it's subscription based. COCKOS REAPER is a professional studio DAW that is very affordable. It's strength is it's customisation and flexibility. 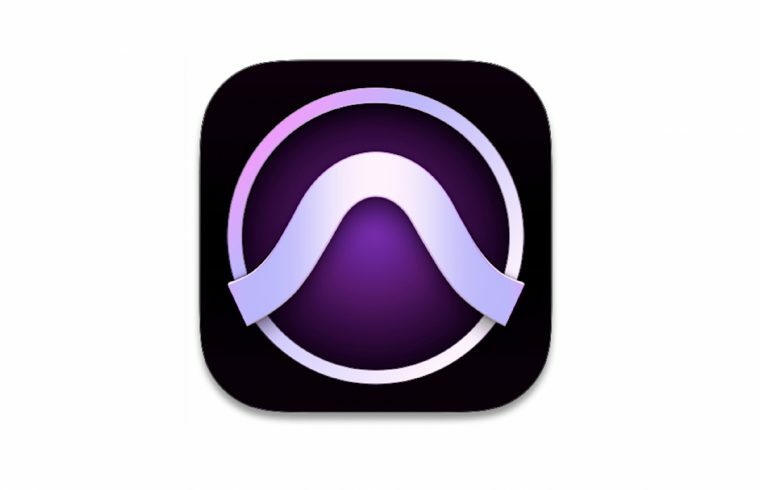 AVID PRO TOOLS is a professional studio DAW that is well established and widely used, however it's limiting factor is that it only uses it's own plugin format (AAX), meaning 3rd party software is needed to use VST/AU formats. As mentioned above, there is a free version that has limited features. ​Other DAWs include: Studio One (see above), Mixcraft, Ardour, Cubase, Ableton Live, and more. All of these audio editors will handle podcast recording, editing, and mixing. The best one is the one that works best for you and meets your needs. I briefly mentioned Plugins above. If you're wondering, "What is a plugin?" they can be thought of as add-ons that give different processing functions to a piece of software. All audio editors come with their own plugins which will apply EQ, compression, gating, and other various effect processes to the audio. The effect is either applied immediately (destructively) or in real-time (non-destructively). Aside from the stock plugins that come with the DAW, there are many third party plugins available. These come in different formats and may not be compatible with some DAWs. 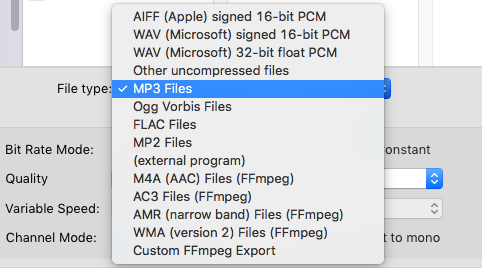 Some of the formats include VST (compatible with most DAWs), AU (compatible with most Apple Mac DAWs), AAX (Pro Tools' own format). In this post I'm going to go over some of the extra hardware bits and bobs that are good to have - some necessary, some not so much. You'll need this to connect any XLR mic into your pre-amp. Pretty straightforward right? It's worth getting a cable with metal connectors rather than plastic, and spending a little extra on a cable that has decent shielding - the shielding is a wire mesh that is wrapped around the core wires carrying the mic signal, preventing radio and electromagnetic interference of the mic's signal, blips, beeps, hum, noise and even commercial radio signals. If you like to look after your cables and want them to last a long, long time, it's worth learning the right way to coil them up - YouTube to the rescue! ​Lastly, the Male connector has the 3 pins and the Female connector has 3 holes. In case you were wondering. An example of how NOT to coil up your mic cable. 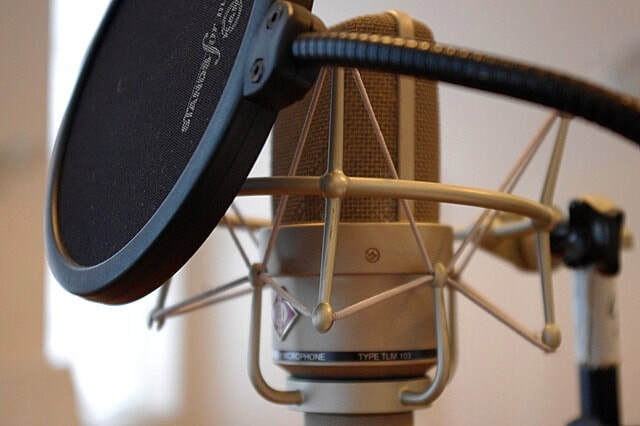 A Pop Filter is typically a circular hoop with a nylon fabric mesh on a flexible goose-neck clamp. Some are made of metal, but the effect is the same. Pop Filters reduce the force of sound pressure waves coming from your mouth as you say words beginning with Plosives - hold your hand up in front of your mouth and say "Boo" and "Pa". Do you feel the air hitting your palm? That's what the pop filter's for. If that rush of air hits the mic diaphragm, it'll cause distortion to the signal. Try it and see for yourself! Foam Windshields, or Windscreens, have the same effect - stopping rushes of air, whether from breath or wind, from hitting the mic and causing distortion pops. These can be useful if you've not much space in the studio, or do a lot of recording outdoors. If you're outdoors a lot then consider getting a "furry" type windscreen, these are better at dealing with wind - of the weather sort. A State-of-the-art Nylon Pop Filter, in it's natural environment. If you're in a studio environment you'll need something to hold your mic while you talk... if you're out conducting a roving reporter style recording, well, have one for when you're back home. Small Desk Stand: A mini stand that sits on your desk, usually with a weighted base. Not so great if you bump the desk as it will transmit the bump from the desk to the mic, which will cause a distortion thump. Boom Arm Desk Stand: These look good, are functional, and easy to position. Having the mic hover in front of you can be better for space and ergonomics, and you can swing it out of the way when needed. This type of stand will also provide better decoupling from the desk, so if you do bump the table it's less likely to result in a distortion thump. Boom Arm Tripod Stand: This stand works well if you have the space, as you'll need it to stand next to the desk and the tripod feet can take up some real estate. But, because it's not connected to the desk, you won't have to worry about thumps! And with the boom arm you can still have the mic hover in front of you, keeping the desk clear for drinks and snacks. A shock mount is an elastic cradle that is suspended in its mount, de-coupling the mic from the mic stand. They help to reduce bumps and vibrations from being transmitted from the stand to the mic. Make sure that you get one that will hold your mic firmly - the last thing you want is your mic slipping out while talking to someone. When recording, you need to be able to monitor the recording - to hear what's being recorded and how it sounds. A good set of over-ear headphones with a Closed-Back design will isolate the sound, so that you can hear it clearly. Noise-cancelling earbuds also work well, but can be uncomfortable and damaging to the ear in the long term. Closed Back means the back covers of the drivers are sealed, cutting out ambient noise better so you can hear the recording more clearly. Other types include Open Back (not sealed) and Semi Open Back (slightly sealed). It's worth getting a set of professional "studio grade" headphones that don't colour the sound being reproduced. 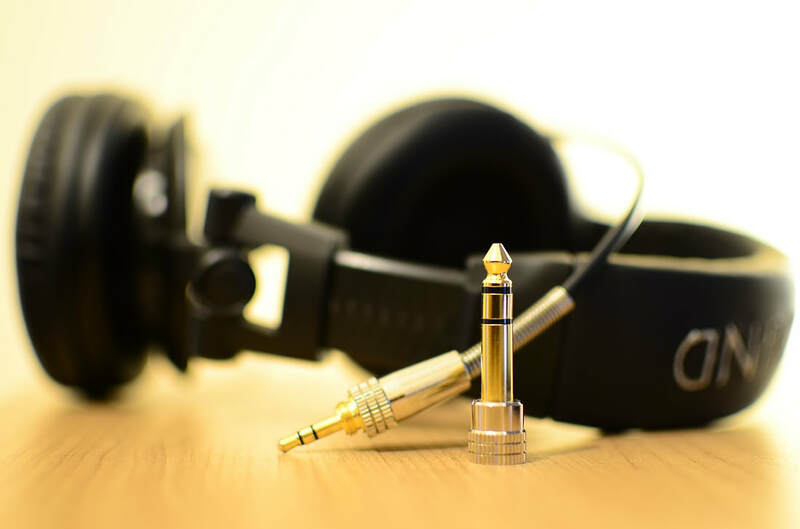 Regular high-street headphones are sometimes tuned so that they enhance the audio - this is a no-no, as you want the signal to be as honest as possible so that you can identify if something is wrong with the recording. And lastly, don't get wireless headphones! Because wireless tech needs to digitise the signal > transmit it > and decode it to analogue again, it creates latency in the signal - a slight delay - which will negatively affect your judgement; not to mention that the wireless signal may interfere with your other equipment! A pair of Headphones in repose. Not so essential but nice to have, maybe. Or depending on your set-up, perhaps essential... you decide! If your audio interface only has one or two headphone outputs, and you need more, then a Headphone Amp will be necessary. The headphone amp will boost the signal and distribute it to multiple outputs. Pretty simple right? Just connect it to your audio interface's headphone/line output using a Stereo/Balanced cable, and plug in your 'phones. Behringer's HA400 - provides up to 4 Headphone connections, with individual loudness controls. It's a cable that extends the length of your headphone's cable, for when you can't get close enough to your headphone amp. What more is there to say? I don't know. Maybe leave a comment if you think of anything. Some might want more control over the microphone's signal before it gets digitised and recorded by the computer. There are a number of Pre-Amps with Channel Strips out there that may have an EQ, Compressor, a De-Esser and more. This replaces the pre-amp of the audio interface, so remember not to set the gain too high on the interface's pre since you'll be boosting it with the channel strip's pre. Prices go from cheap... to not so cheap. If you do get one, remember that anything that you do to the signal at this stage likely can't be undone in the recorded audio, so it's important to set it the parameters correctly. The entry level DBX 286S Pre-Amp and Channel Strip with basic EQ, Compresor, De-Esser & Gate. The not-so-entry-level Manley VoxBox with 3-Band EQ, Compressor & De-Esser. 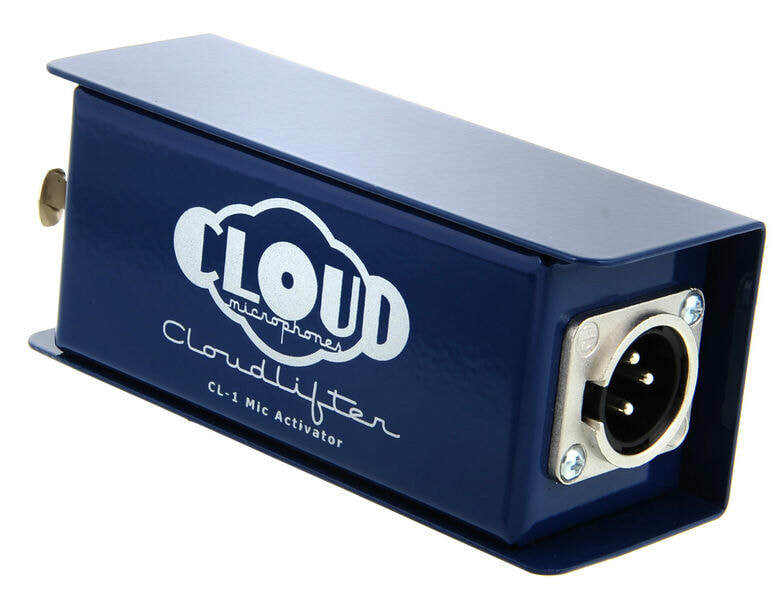 The CloudLifter gives +25dB of boost to a mic signal. If you're using a Dynamic microphone, and you're having trouble getting a loud enough signal from it - needing to really crank up the pre-amp's gain, then a signal booster might be necessary. These go between the mic and the pre-amp, requiring an additional XLR cable, and increase the signal level by a certain amount. Useful for those of us with quieter voices. The humble microphone is the business end of the recording chain, and so having the right mic is a must. 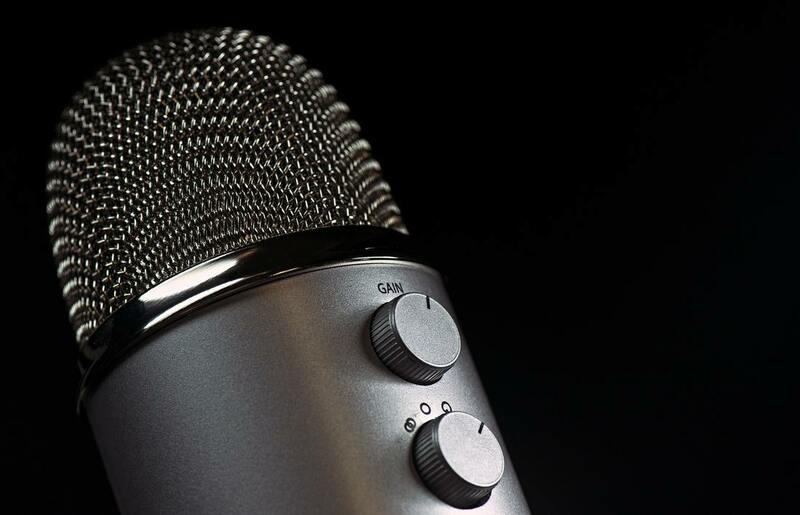 In this rather lengthy post we look at some of the different types of microphones, and their characteristics that are useful to know when selecting a mic that meets your podcasting needs. There are a lot of different mics available, so it's a good idea to know the basics and what to look for. Dynamic mics are passive in design - they don't need electricity (Phantom Power) to make them work. Essentially, the mic capsule consists of a diaphragm suspended in a magnetic field on a moveable coil. When sound pressure waves hit the diaphragm, the coil moves back and forth in the magnetic field and creates an electrical signal analogous to sound waves - both have frequency and amplitude. 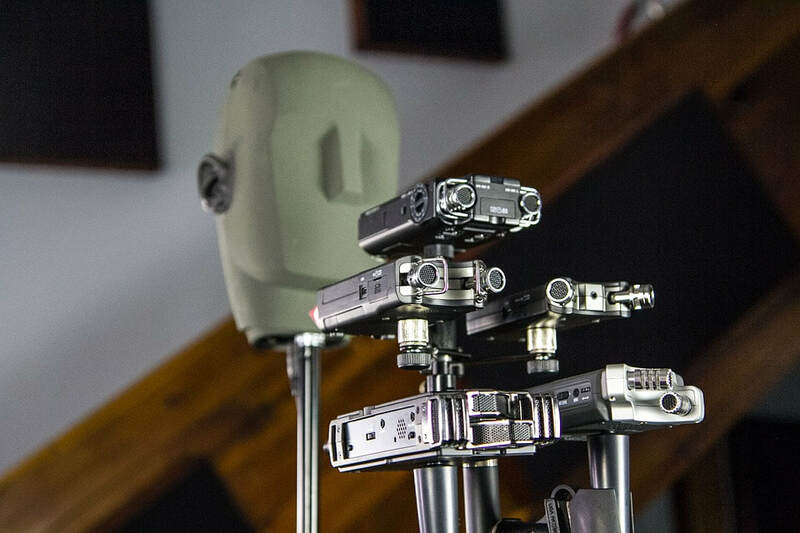 Due to the relatively simple design, Dynamic mics tend to be quite robust and can handle loud sounds, but they are also less sensitive to sound (background noises) and higher frequencies. This makes them ideal for live performance use, and podcasting. 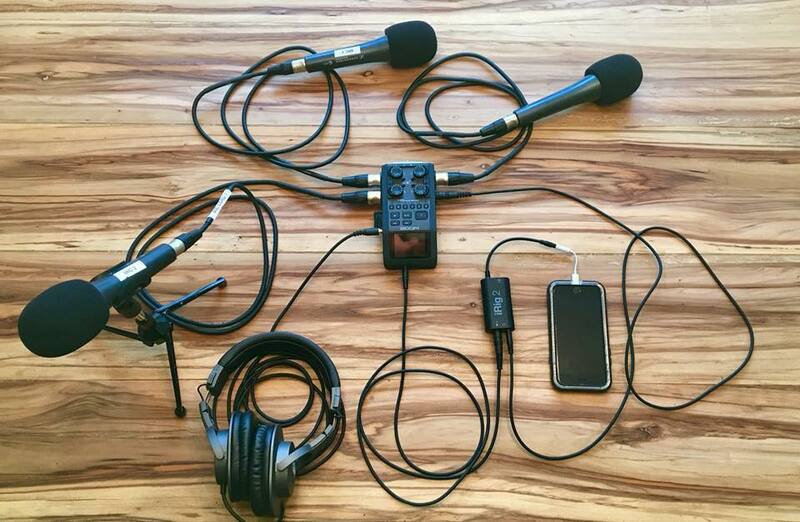 Here's a selection of Dynamic mics suitable for Podcasting. Condenser mics have an active design, requiring Phantom Power to electrify the capacitor element in the mic's capsule. The diaphragm is positioned opposite the electrified capacitor plate, and as sound pressure waves hit the diaphragm, it moves towards and away from the electrified plate, causing the current passing through to fluctuate in frequency and amplitude. Condenser mics are not as robust as Dynamic mics, but are more sensitive to sound, and tend to have a greater frequency response range. As such, they're great for studio recording in a controlled environment. I tend not to recommend Condenser mics for Podcasting because of their sensitivity to sound, however if you are recording in a very quiet or sound-proofed & acoustically treated room, then it might be worth considering the Røde NT1-A, Audio Technica AT 4033a, or the AKG P220 depending on budget. 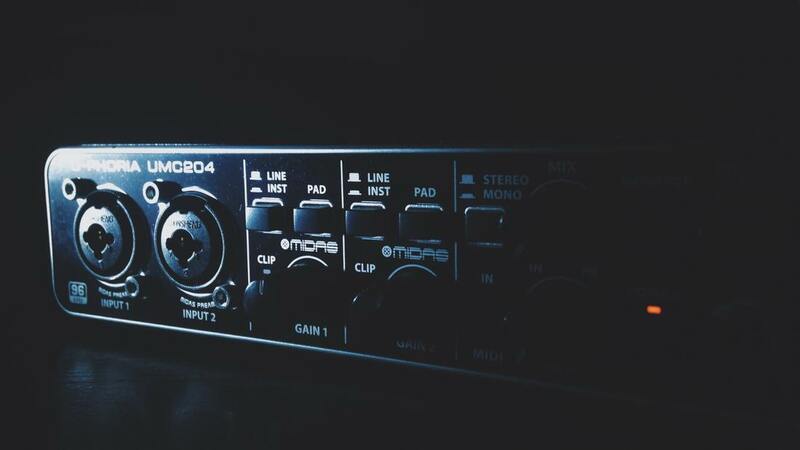 Standard mics require a pre-amp and audio interface in order to connect to a computer to record. USB mics are all-in-one: mic, pre-amp and interface. USB mics can be both dynamic and condenser, and are popular with podcasters due to their design, convenience and portability. Downsides can include cheap components/design, and technical difficulties if you're wanting to record multiple mics simultaneously (there are work arounds though). Here's a selection of USB mics for Podcasting. A microphone's Polar Patterns indicates the directional sensitivity of the mic to sound around it. Mics with an Omnidirectional polar pattern are able to pick up sound coming from around the mic capsule evenly. So if you have a round table with 4 people sitting evenly around it, and place the mic in the centre, you could use a single omnidirectional mic to record the conversation between the 4 people. The problem is that you'll only have one recording with all of the voices together, along with any other sounds. So if one person naturally talks louder, or someone talks over another person or coughs loudly, all the voices and noises are in one signal, which can make editing tricky. Cardioid polar patterns are directional, meaning that the mic will pick up sound from the front of the capsule, with sensitivity reducing on either side and almost nothing being picked up at the back of the capsule. Variations include Super-Cardioid and Hyper-Cardioid, each being more directional in that order. Using directional mics with Cardioid polar patterns helps avoid picking up background noise, assuming the mic is pointed at the speaker's mouth. As the name suggests, Bi-Directional mics pick up sound from 2 directions on opposite sides of the mic capsule, front and back, and less from the sides. Similarly to Omnidirectional mics, you could place a Bi-Directional mic in the middle of table and record a conversation between 2 people sat opposite each other. However, you'll have the same issues when it comes to editing as both voices are recorded by a single mic. Unidirectional: Highly directional polar pattern, more so than Hyper-Cardioid, e.g. Shotgun Microphones used in TV and film applications. Some podcasters use Shotgun mics, but I kind of think it's overkill. Hemispherical: This is really a type of microphone design, usually with an Omnidirectional polar pattern, where the capsule of the mic is placed very close to a boundary surface (e.g. a table top). This design is good for round table discussions in spaces that have poor acoustics - think company boardrooms, those round/triangular speakerphones that are placed in the middle of the table and usually end up with a knife in them if there's a fight! Most microphones will handle the human voice just fine, but I thought I'd just mention Frequency Response so that it's not a mystery. The top graph shows a mic with a fairly uniform frequency response, whereas the bottom graph shows a mic that is less sensitive to lower frequencies and very high frequencies. Most mic's frequency response is tailored to a particular function or even instrument. The top graph is of a Condenser mic that has a broad frequency range (note the extended higher frequency reach), suited to a broad range of studio functions. 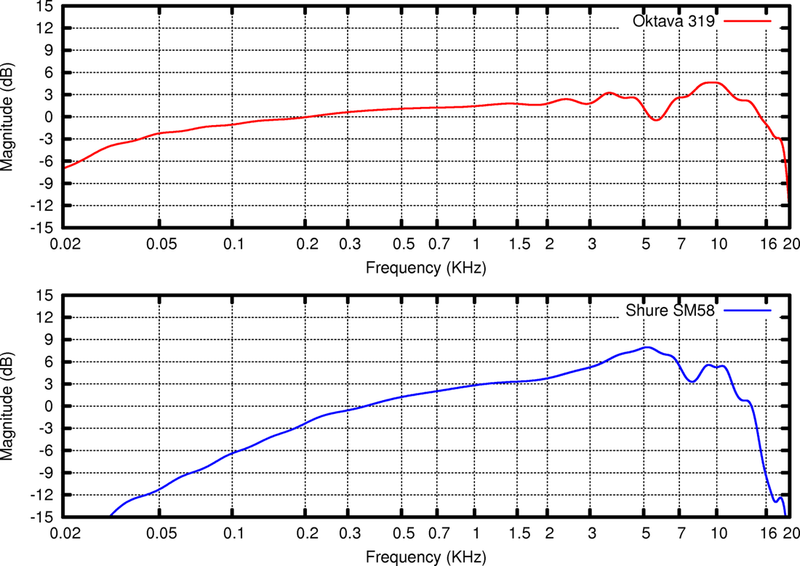 The bottom graph is of a Dynamic mic favoured for live stage performance of the human voice.